While washing your windows, especially those really tricky to reach ones, can be a daunting chore, you want to make sure you get it right the first time. Many people unknowingly go about cleaning their windows the wrong way, which can lead to having to redo the work or even damaging your windows. 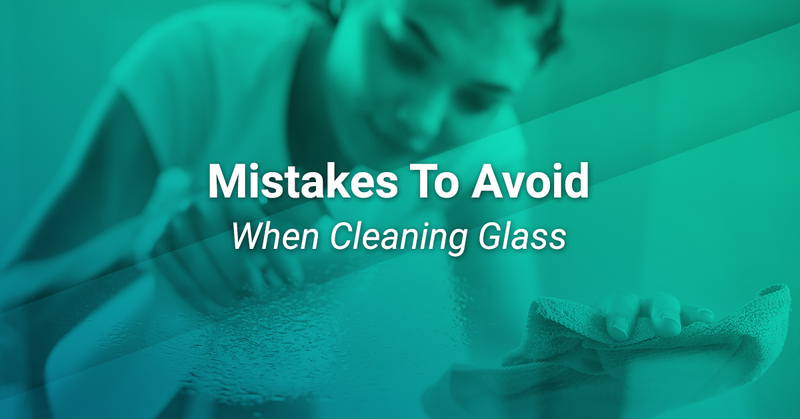 Here at Pro-Wide Glass of Seattle, we have compiled a list of the most common mistakes that we see made by homeowners and business owners while cleaning glass. By avoiding these costly mistakes, you can rest assured that you will enjoy a longer life for your glass whether it’s windows, patio glass, door glass, storefront glass, shower door glass, decorative glass, or any other variety. 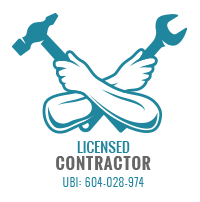 If you do find you need glass repair or replacement glass for anything in your Seattle home or commercial property, reach out to the experts at Pro-Wide Glass for a free quote. One very overlooked action that can have costly impacts, wiping any glass with a piece of cloth when it is dry can and will scratch your glass — making it more susceptible to future damage and imperfections. This is because of the dust particles such as sand or granules that are inevitably present in the cloth you’re using for wiping, which can cause permanent scratches to your glass. It is imperative to always use a soft cloth that is thoroughly moistened along with plenty of glass cleaner when washing any type of glass surface. Not all cleaners are created equal. While you may have heard from other sources online or your neighbor down the street that you can wash your home windows and glass surfaces with soap as you do for your auto glass, this has its downsides. In order to keep your glass in its best condition for as long as possible, we recommend avoiding ever using soap or detergents of any sort as they can be detrimental to the protective coating on the surface of your glass. Your glass windows and doors can collect dust particles that are stirred up in the air from vacuuming and sweeping. Use a gentle approach to wiping the interior glass and frame of your windows and doors to successfully remove all the built-up dust without causing scratches and streaks. You can give a more heavy duty scrub to the rims to make them shine. While paper towels, tissues, or even t-shirts may be soft, they have an unrefined surface that easily attracts dust particles and other items that can scratch your residential or commercial glass. Microfiber cloths are the go-to cleaning solution to ensure a long and healthy life for your glass. When you attempt to clean your windows with the sun glaring down on them, the cleaner will dry onto your baking windows before you even get a chance to thoroughly wipe away the cleaner — leaving incredibly tough to remove streaks. If it’s too late to save your windows, doors, or any other glass surfaces at this point after practicing poor glass cleaning methods, come to Pro-Wide Glass with all of your residential glass repair or commercial glass repair needs. We’ve got you covered!